After last night’s storm blew through it cleared off. 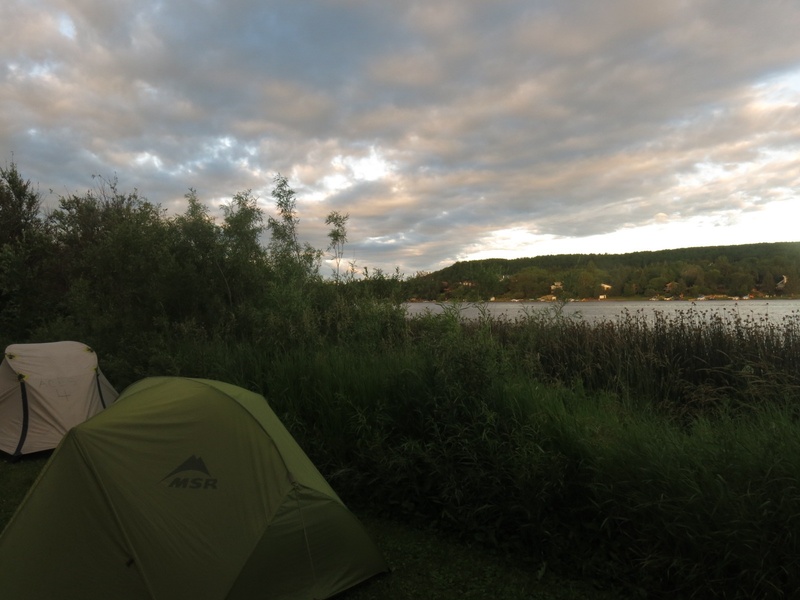 This morning we left camp under blue skies and a crosswind. As we headed towards Neepawa the winds shifted back and forth between crosswind and headwinds but they weren’t to strong. 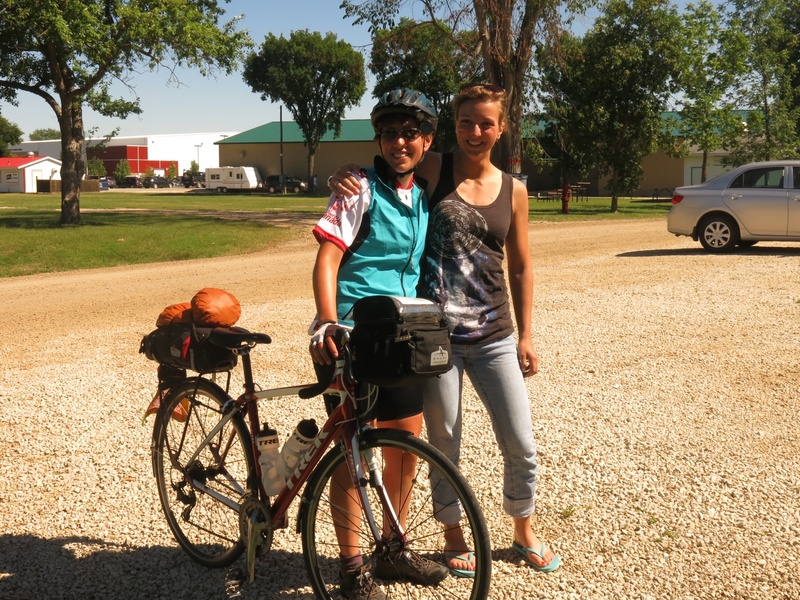 We stopped in Neepawa for chocolate milk and met up with several other riders there. Continuing down the highway our next stop was Gladstone – for another chocolate milk. Past Westbourne we turned more southward and picked up more of a tailwind. The ride would have been fantastic but for the crappy repair of road cracks. Who would have thought to put speed bumps every 20 feet on the shoulder?!! Eventually we turned onto the Trans Canada Highway. Oh joy! The 7 km section before we turned off to Portage had a gravel shoulder. 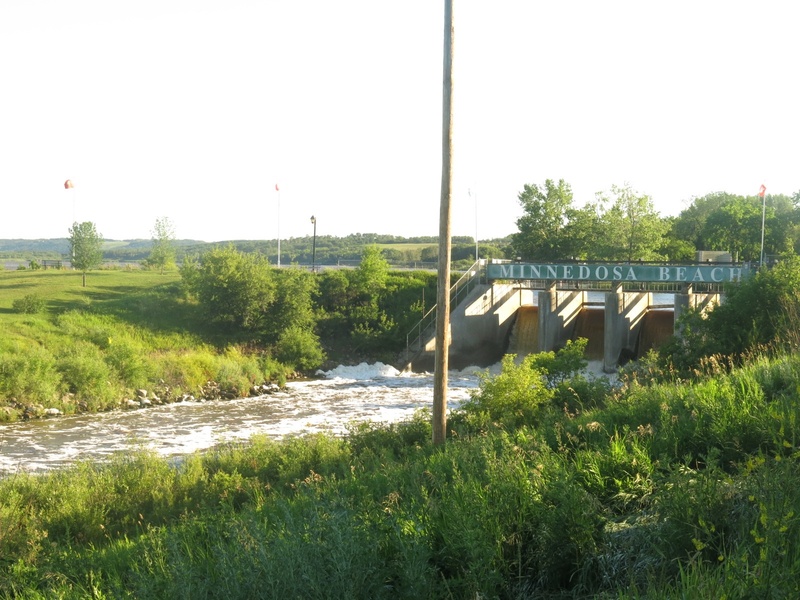 Actually although it was tough riding it probably wasn’t the worst Manitoba road we were on. Is this province going for the distinction of having the worst highways in the country? Certainly they have been the worst of the four provinces we’ve been in so far. 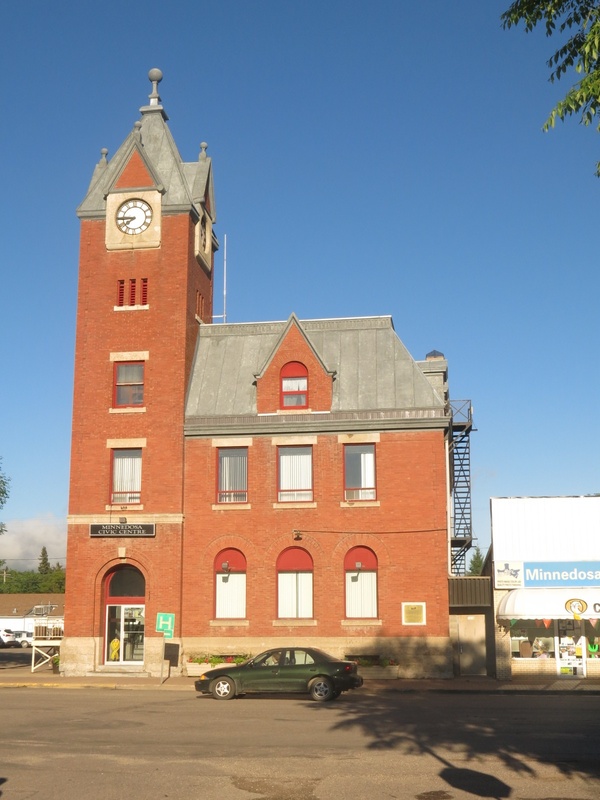 Portage La Prairie was a nice town to ride through. 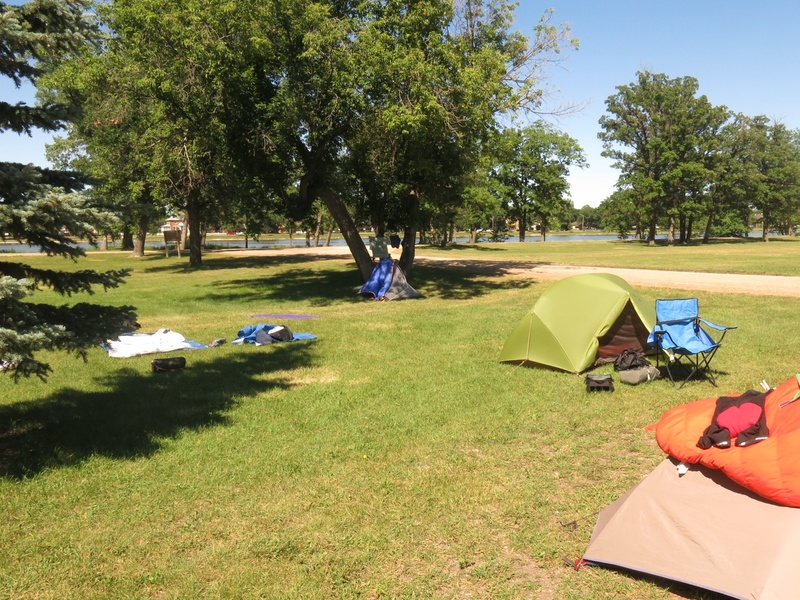 Our campground is on an island at the fair grounds – a very nice area. With the tent up I had time to relax in the sun for a while before supper. Our ride today was 133 km. There were a couple of family visits this evening. Clarke’s wife picked him up and he will spend the day tomorrow at home in Winnipeg. Bob and Irene went with them and will start their ride tomorrow in Winnipeg. Myra’s sister, who lives in Portage, picked her up for the evening.